We're going to be snapping this up ASAP. Midi skirts are (thankfully) having a bit of a moment lately - which we’re totally happy about for so many reasons. They’re stylish, they’re comfortable, and they are ideal for when you’re sick to death of wearing tights. And they’re also the perfect go-to piece for the weather we’ve been having lately. 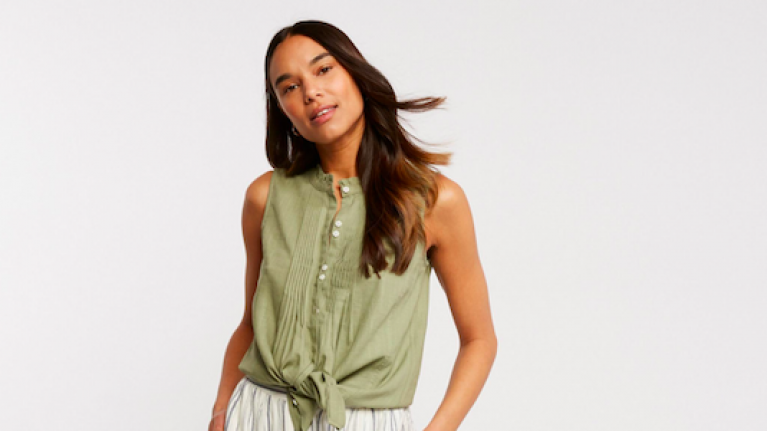 After being basically all over the high street in spring/summer 2018, many of our favourite retailers have been releasing their take on the button-down linen dress (or skirts) for this year. 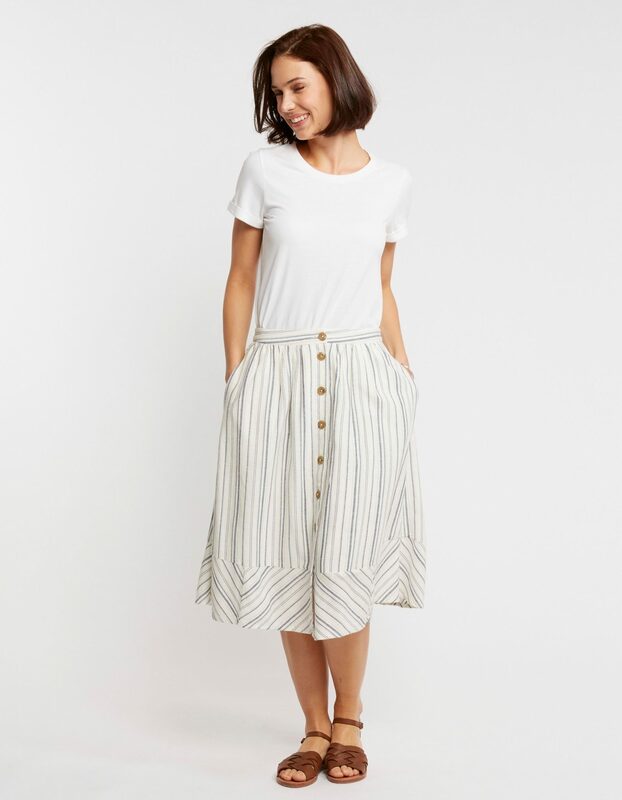 The latest one that has caught our eye is this super flattering Lena stripe skirt from FatFace. 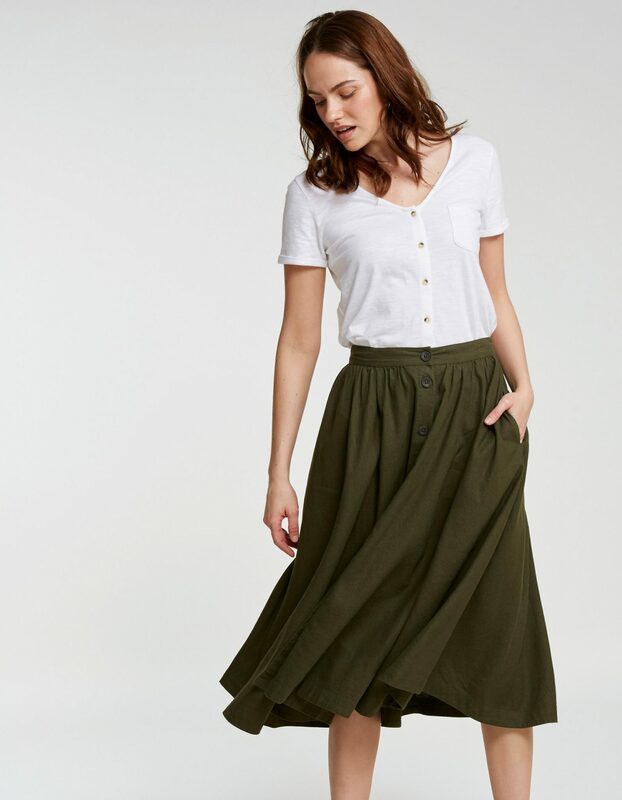 The skirt falls just below the knee, with button-up detailing on the front and two side pockets - and it also comes in a khaki green colour, although that one costs a little more. The retailer notes that it has “a touch of linen in the fabric”, which makes it “soft, comfortable and breathable”. So, really, the perfect piece for once the weather warms up a bit more. At €50.50, it’s a little pricier than some of the others - but it’s also one of those pieces we could see ourselves getting a lot of wear out of. It is definitely smart enough you could wear it to the office, but still casual enough that it'll do you for drinks in the evening too. We reckon you could pair it with a tee, a biker jacket and a pair of trainers for a comfy (but stylish) weekend look. Or maybe with a comfy knit, a camisole and a cute pair of ankle boots for heading into the office. 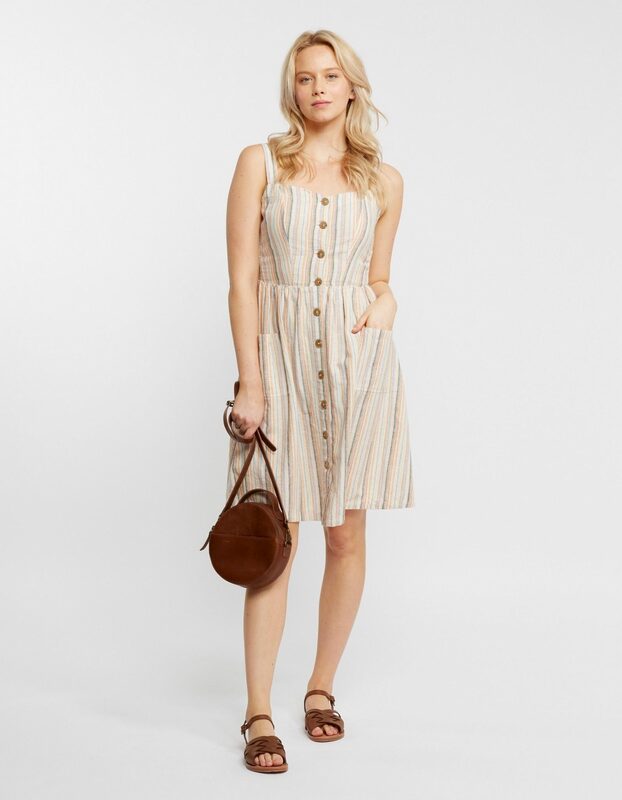 If you're after a similar look, they've also got the Aubrey Sunset Stripe Dress - a linen-blend dress with amber stripes and a sweetheart neckline. The dress, which costs €70, is described as being "perfect for casual days — the classic stripe and button-down front give it a flattering look. And the sweetheart neckline is so pretty and easy to wear."